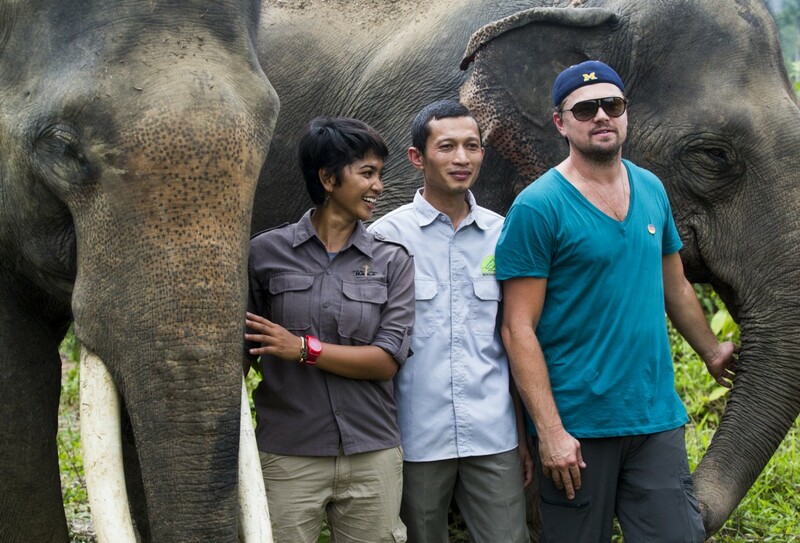 Farwiza (HAkA, Rudi Putra (FKL), and Leonardo DiCaprio pose with Sumatran elephant. Photo credit: Paul Hilton. 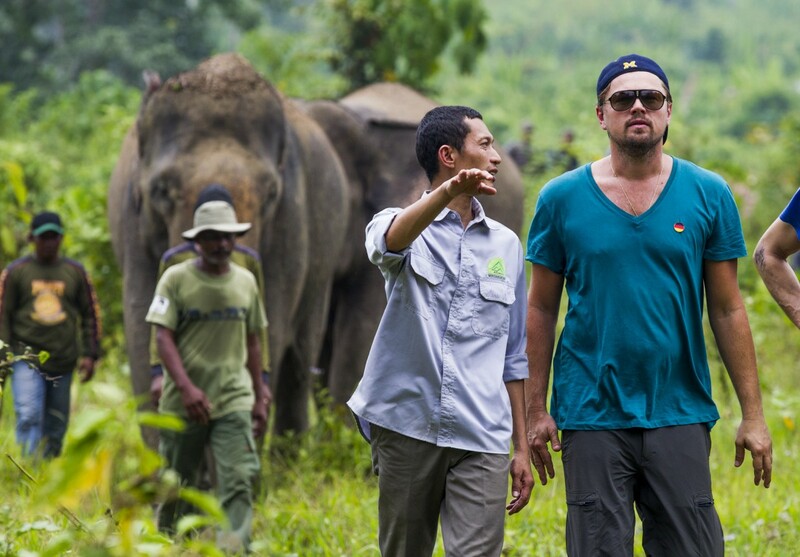 In March actor and activist Leonardo DiCaprio visited the Leuser Ecosystem which will feature on his upcoming documentary on climate change. 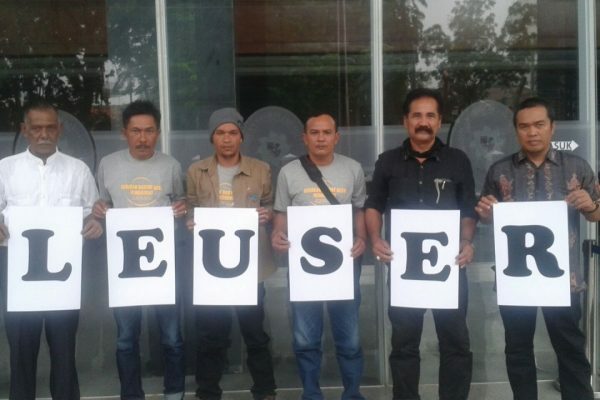 The visit allowed us to share our vision and progress for the Lokop Mega-Fauna Sanctuary in the northeast of the Leuser Ecosystem which the Leonardo DiCaprio Foundation began supporting late last year. Rudi Putra of FKL with Leonardo DiCaprio. Photo credit: Paul Hilton. DiCaprio posted in his personal instragram: “The Leonardo DiCaprio Foundation is supporting local partners to establish a mega-fauna sanctuary in the Leuser Ecosystem, the last place on earth where orangutans, tigers, rhinos, and elephants coexist in the wild. DiCaprio took a tour around the Ketambe Research Station in Aceh Tenggara, one of the oldest orangutan research stations in the world and recently reactivated by FKL. There, he saw wild Sumatran orangutans including a cheeky infant who threw leaves down onto his head. Leonardo visited program sites led by Farwiza Farhan (HAkA), Rudi Putra (FKL) and Ian Singleton (SOCP). Enjoying the company of Sumatran orangutans and elephants was the highlight of Leonadro’s visit. 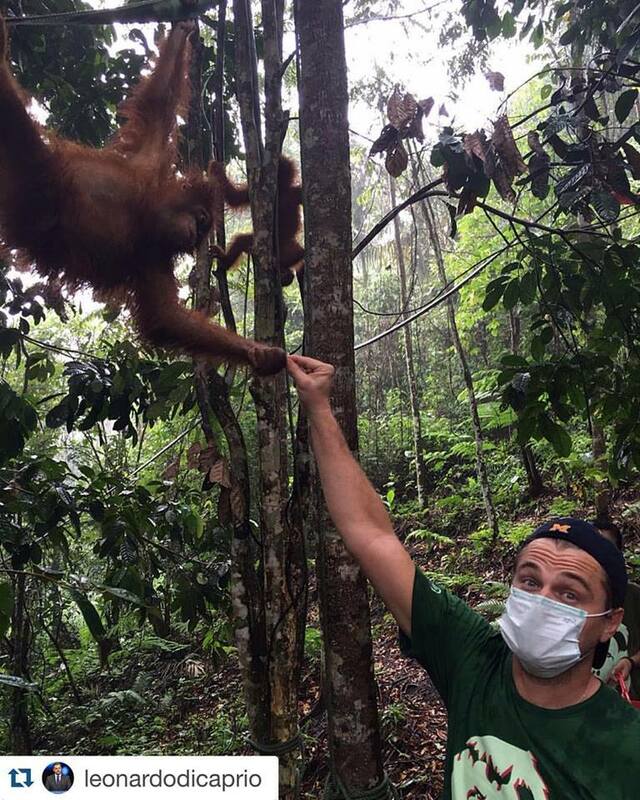 DiCaprio also paid a visit to Sumatran Orangutan Conservation Programme basecamp in North Sumatra and was deeply concerned to learn about the threats that wild orangutans are facing. “As the forest of the #Indonesian #LeuserEcosystem continues to be cleared to meet demand for Palm Oil, the critically endangered Sumatran #orangutan is being pushed to the brink of extinction,” wrote DiCaprio on his instragram post. Farwiza, the chairperson of HAkA, said that this visit is a tremendous support for the ongoing efforts from the local community to protect the forest. 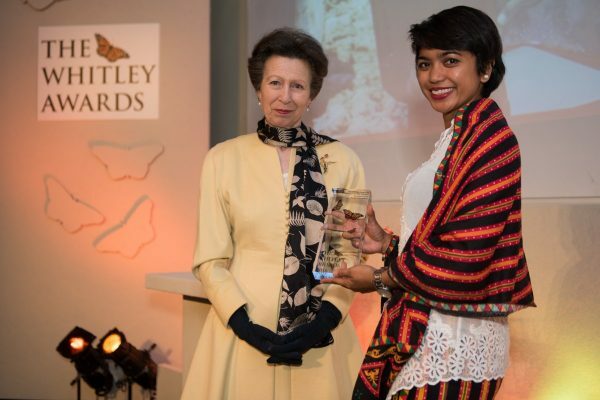 “DiCaprio is giving his support for local groups that are working for the protection of the Leuser Ecosystem from oil palm plantation, mining, logging, road construction, energy developments and other threats”, said Farwiza.